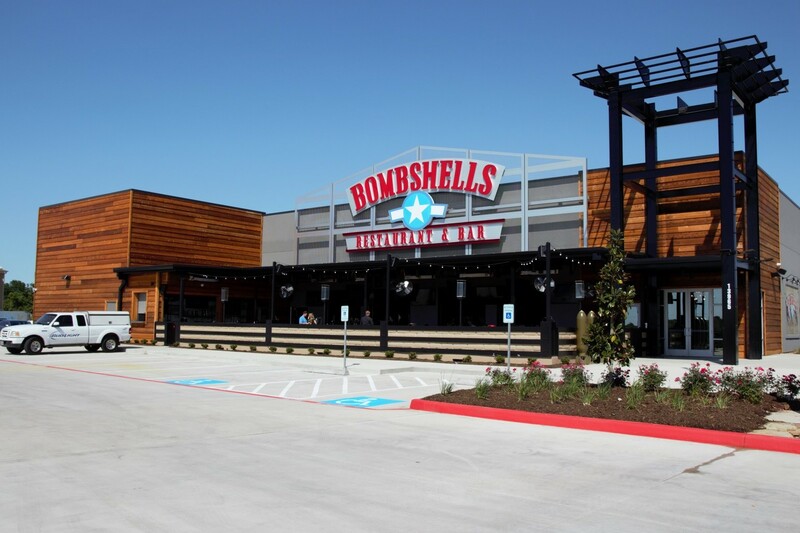 HOUSTON—April 11, 2018—Bombshells Restaurant & Bar announced the opening of its largest location, in the fast-growing Houston suburb of Pearland, as part of plans to more than double the size of the chain in the Houston area. The subsidiary of locally based RCI Hospitality Holdings, Inc. (Nasdaq: RICK) will open four Bombshells between now and early 2019. This will expand the military-themed sports bar/restaurant chain to seven from three units in the Houston area, for a total of nine in Texas. The other two are in Dallas and Austin. The first new unit will open today at 13965 South Freeway, Pearland, TX, 77584, south of the Sam Houston Tollway. Pearland will be the chain's largest Bombshells, boasting 10,900 square feet inside, 2,800 square feet on the patio outside, and seating for more than 400, making it the ultimate location in Pearland for sports viewing, music, fun, and food and drinks. Visit www.4bombshells.com or call (281) 397-6730 for more information. Other Bombshells in development are located on Interstate 10 in East Houston, US 59 / Southwest Freeway in Southwest Houston, and US 249 in North Houston. "We appreciate the positive response we've received in our home town," said Eric Langan, President & CEO of RCI. "Bombshells is dedicated to providing value to our guests and being community friendly and involved." "With our build out, we'll be able to surround Houston with a total of seven locations to leverage advertising, marketing and awareness," said David Simmons, Director of Restaurant Operations. Bombshells Restaurant & Bar is the first military-themed chain in the sports bar/casual dining segment. It comes alive through its hangar-like design, attractive Bombshells Girls with military inspired uniforms, full bar, scratch kitchen, big flat screen TVs, DJs, huge patio, energetic atmosphere and "social dining experience." Attracting singles, couples, and families, Bombshells does a strong lunch, dinner and late night business. RCI Hospitality Holdings, Inc. (Nasdaq: RICK) has nine company-owned Bombshells open or in development. Visit http://4bombshells.com or http://www.rcihospitality.com. This press release may contain forward-looking statements that involve a number of risks and uncertainties that could cause the company's actual results to differ materially from those indicated in this press release, including the risks and uncertainties associated with operating and managing a restaurant and bar business, the business climates in cities where it operates, the success or lack thereof in launching and building the company's businesses, risks and uncertainties related to cybersecurity, conditions relevant to real estate transactions, and numerous other factors such as laws governing the operation of restaurant and bar businesses, competition, and dependence on key personnel. The company has no obligation to update or revise the forward-looking statements to reflect the occurrence of future events or circumstances.